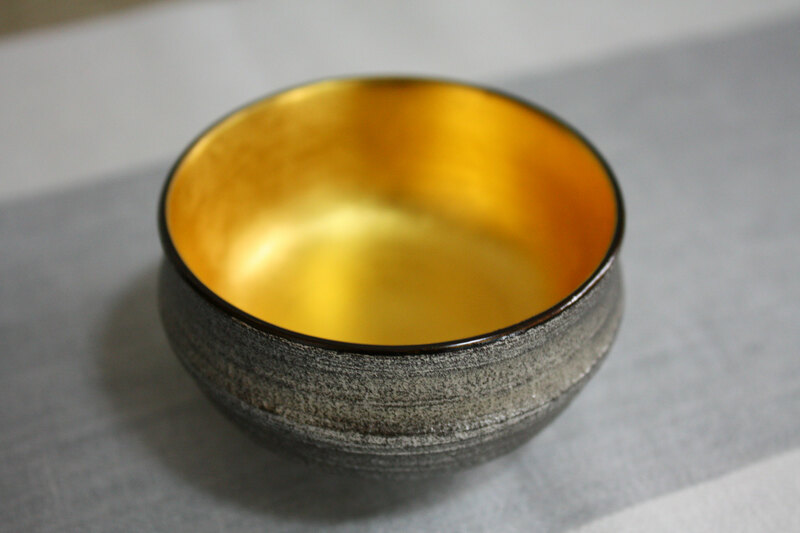 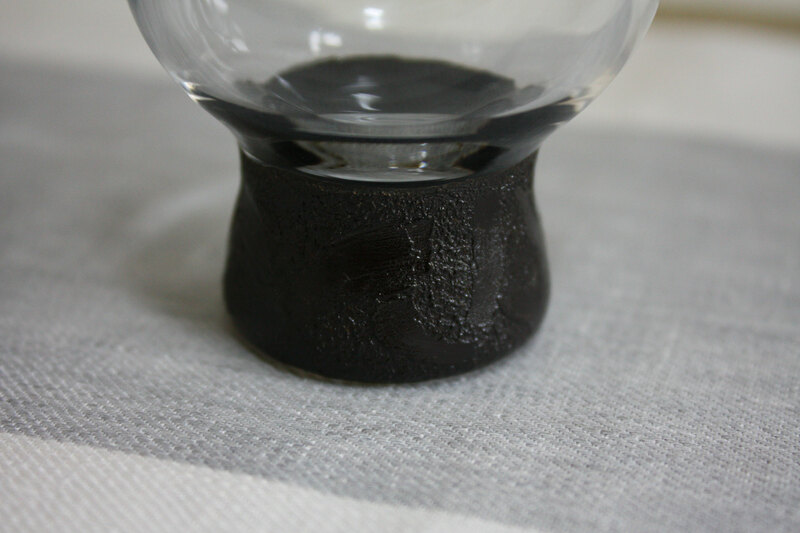 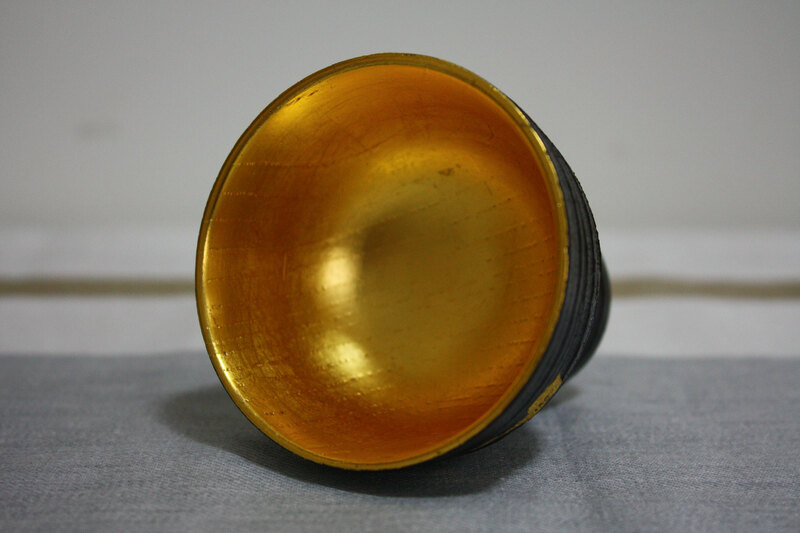 "Sabiurushi"(rust lacquer) which is made of raw lacquer and clay paste is usually used for the base coat, but this cup has a unique texture by applying this rust lacquer for the top coating. 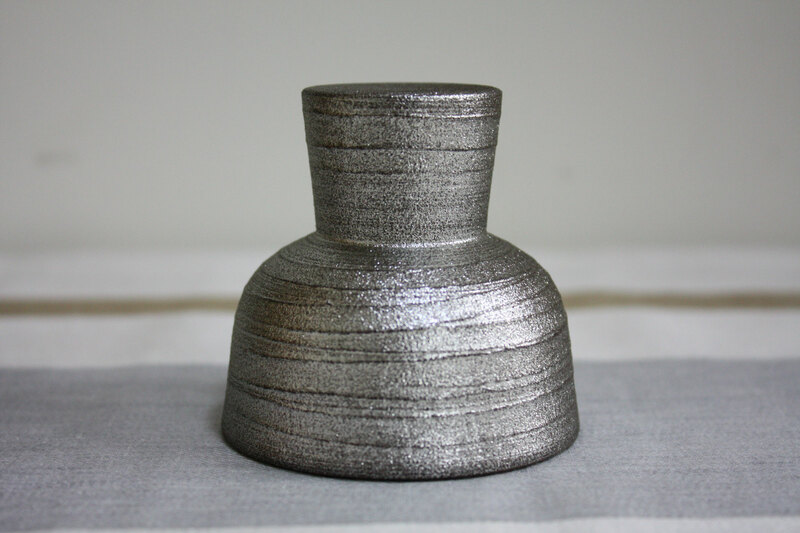 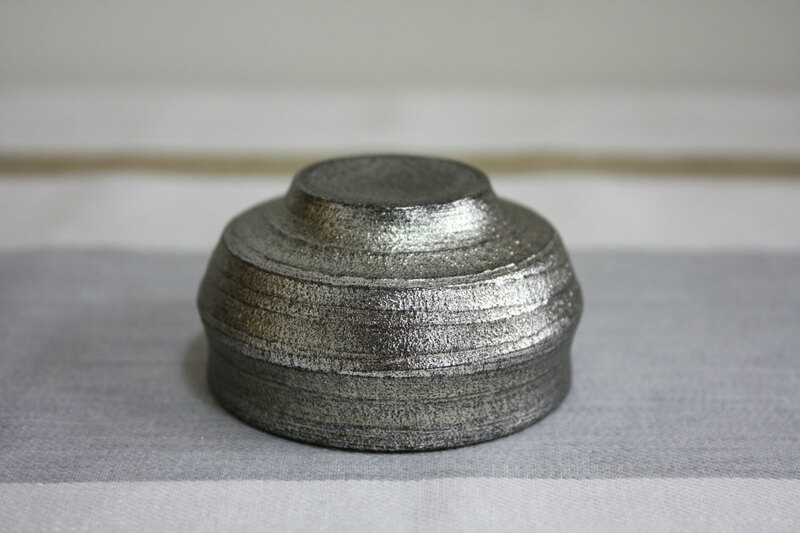 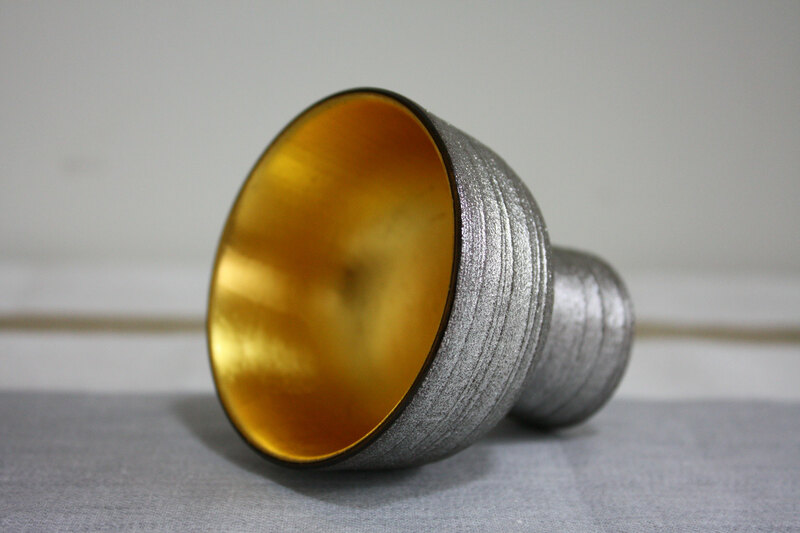 This distinctive silver colour is pigmented by tin powder not silver then it helps protect from oxidation. 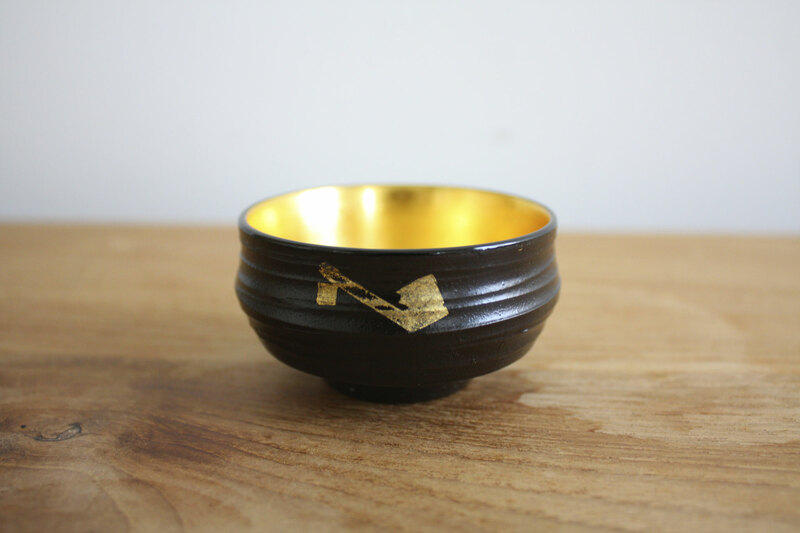 "Sabiurushi"(rust lacquer) which is made of raw lacquer and clay paste is usually used for the base coat, but this cup has a unique texture by applying this rust lacquer for the top coating. 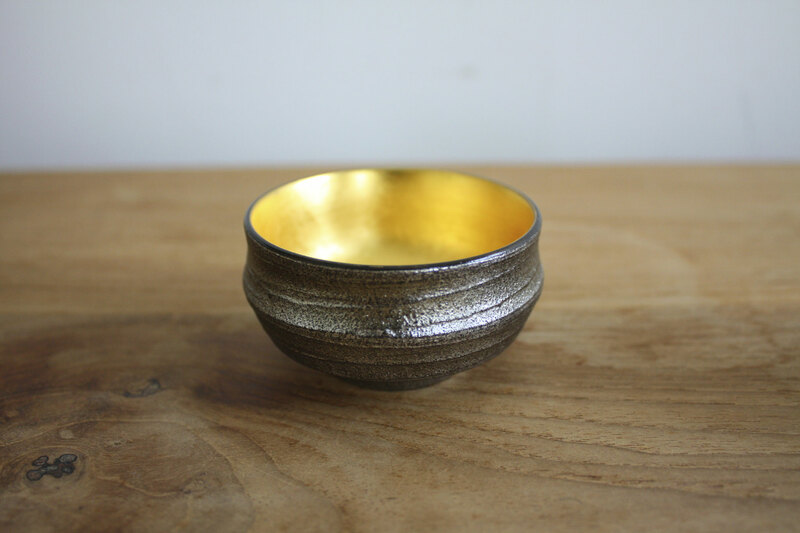 The contrast between the roughness of the outer surface and stunning gold is very special. 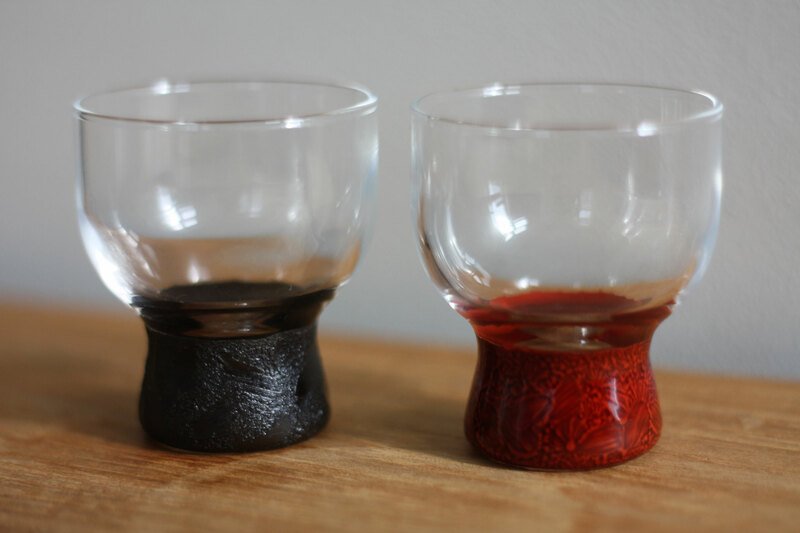 The technique used for each colour of these glass cup is different. 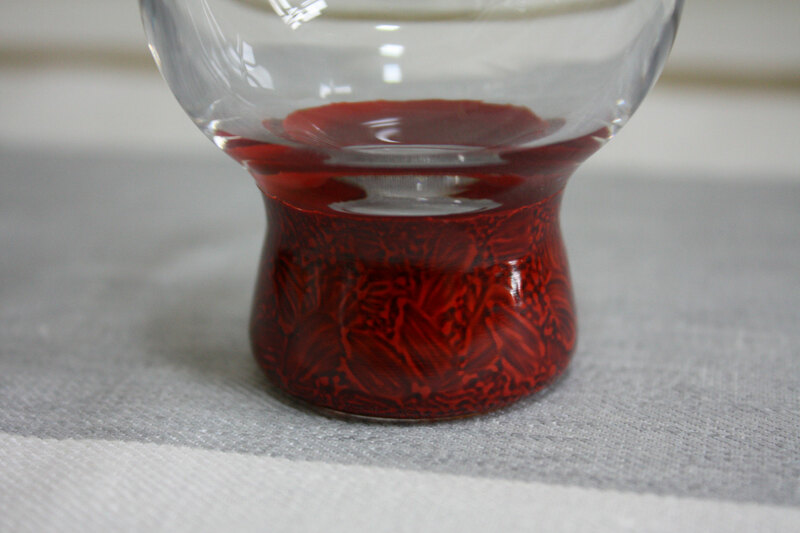 "Goto-nuri" which is a unique coating method using vermillion pigment, while "Zokoku-nuri" is the method that a repeatedly lacquered base is finished by putting a powder called "makomo"(Zizania latifolia). 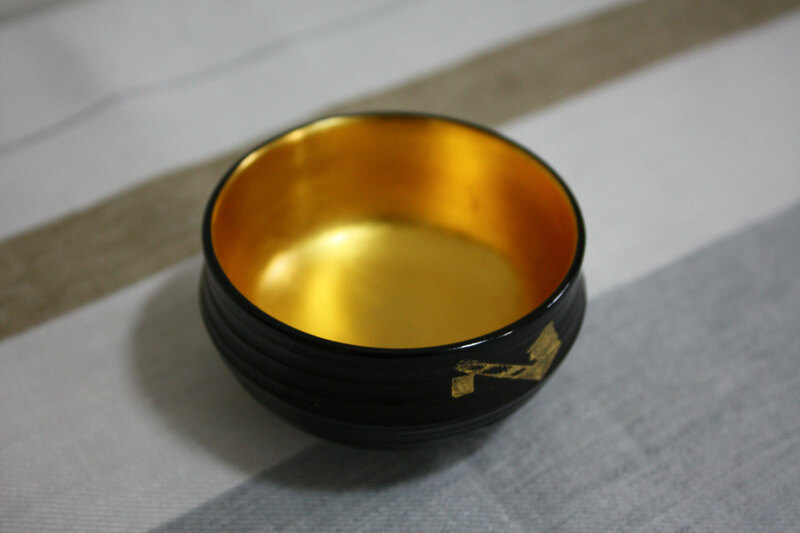 Suitable for the couple who love Sake. 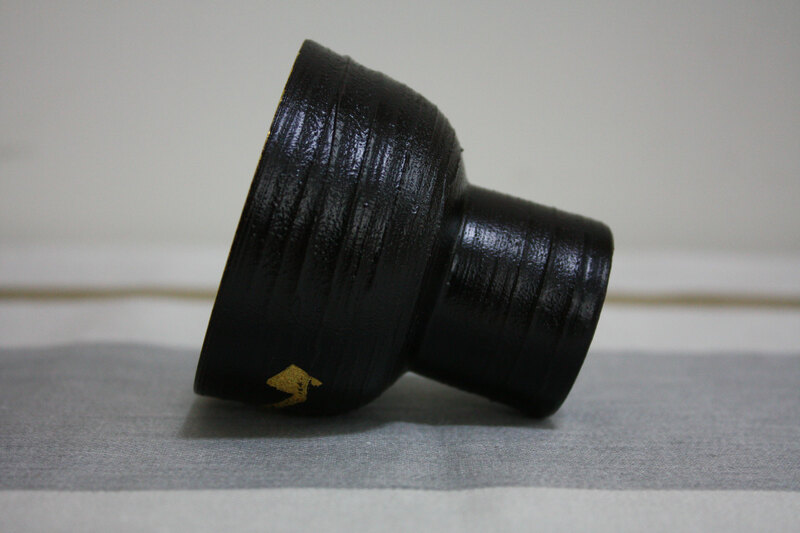 Comes with a gift box. 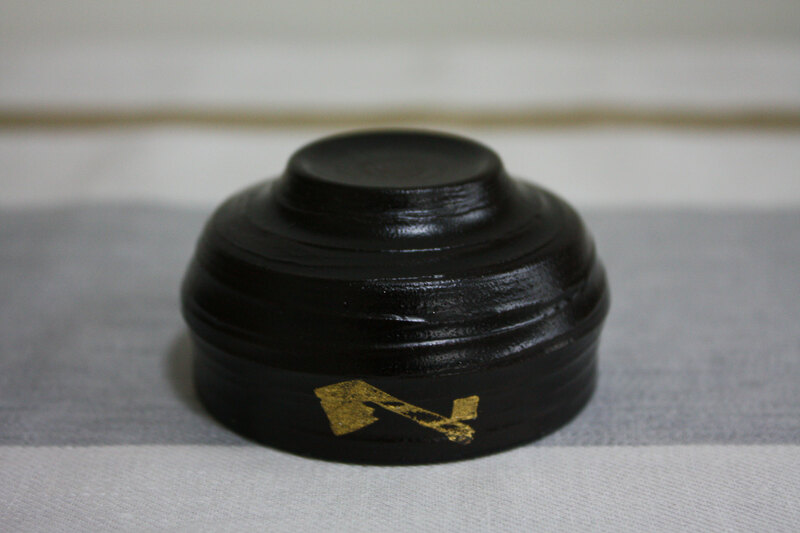 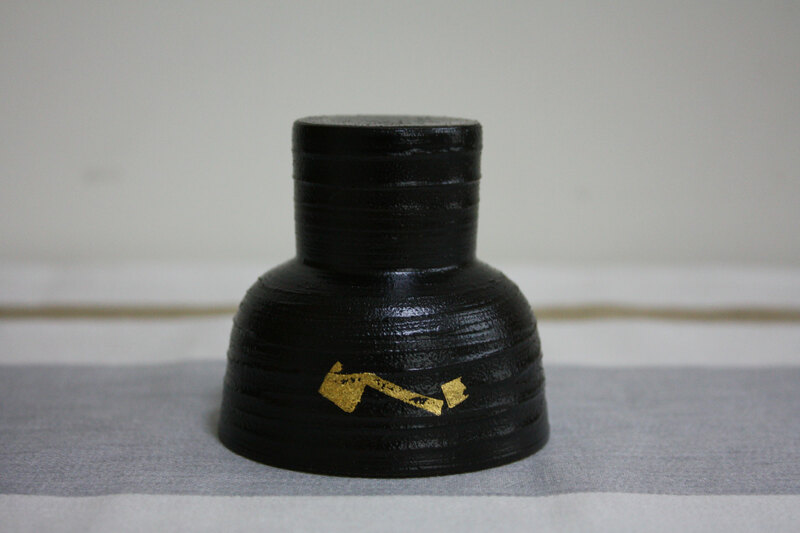 This pretty sake cup is used the method called "Suri-urushi" of applying lacquer and then wiping off repeatedly many times over while relying on its natural light brown colour from this wood. 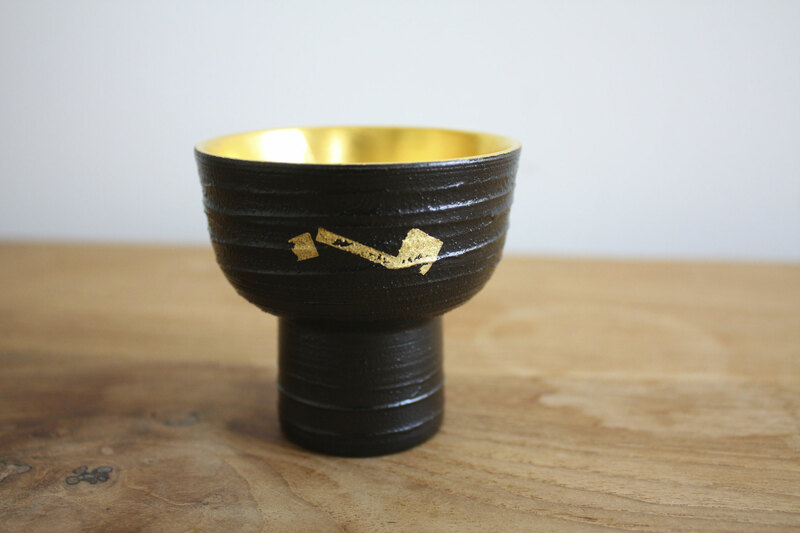 This beautiful sake cup is formed by a combination of two different kinds of trees. 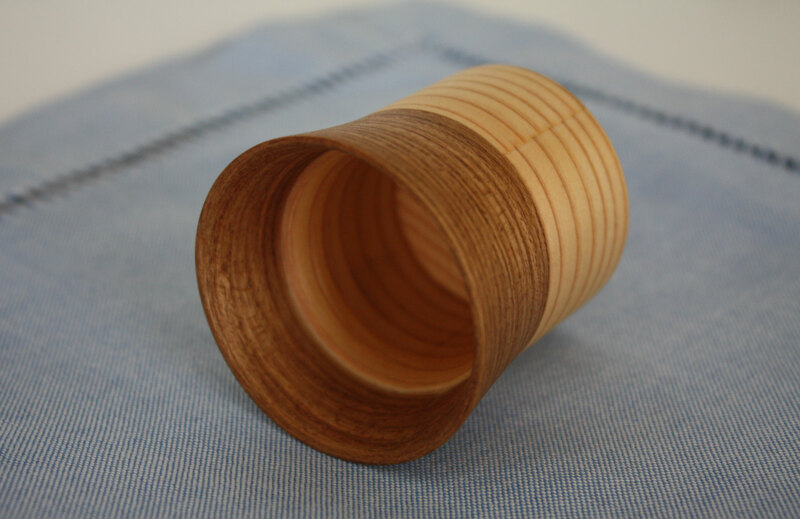 Each of the tree has different grain, colour and texture. 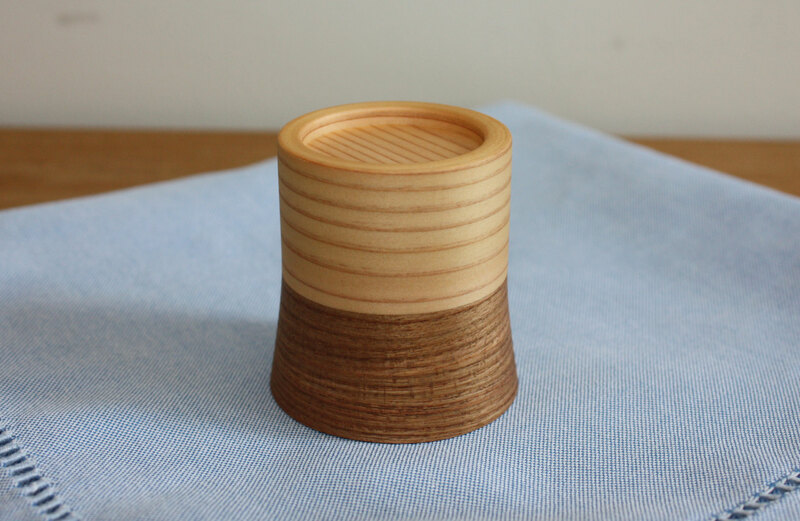 When you pour Sake into this cup, you'll enjoy more with the smell of natural cedar. 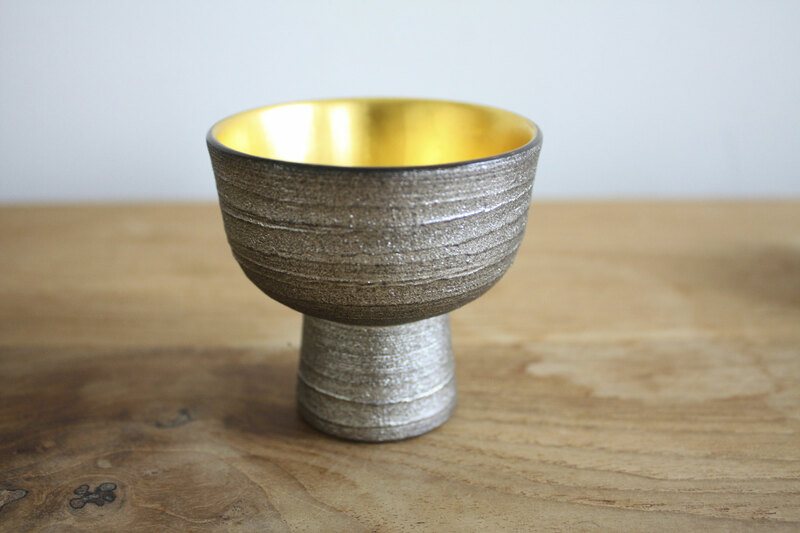 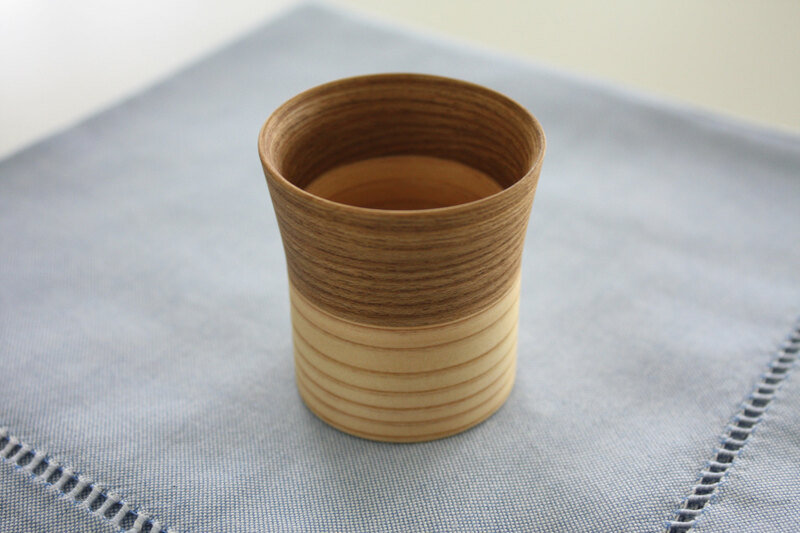 This small cup hollowed out Japanese cedar allows you to touch and feel the warmth of the wood.When you pour Sake into this cup, you'll enjoy more with the smell of natural cedar.